Not all CHRO selections handled solely by CEOs go wrong but it is matter of chance when they do turn out right. 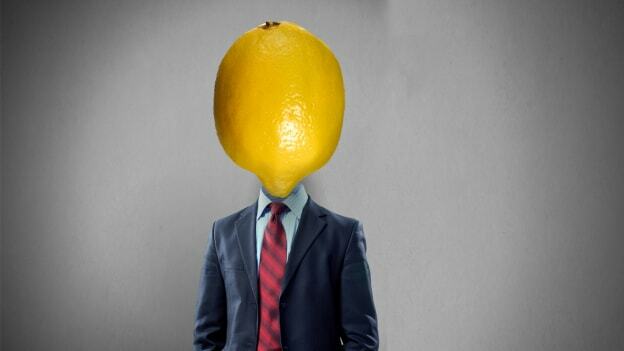 This open letter is to explain how CEOs add themselves the list of lemon-picking leaders and what they and their fellow CEOs might do differently when the next occasion arises. I sympathize with your sour face but life didn’t give you this lemon. You picked it yourself with open eyes and eager hands. Naturally, you were keen to fill the gap created by your suddenly departing CHRO and didn’t have any internal candidate who fit the bill. It can happen to the best of us – especially those of us who are perfunctory about succession planning for critical positions. But then you chose to make the selection yourself, aided solely by your executive search partner, and without the benefit of the advice contained in this column. What could possibly go wrong? Nothing more than if you brought a knife to a gunfight. Of course, not all CHRO selections handled solely by CEOs go wrong but it’s matter of chance when they do turn out right. Let me use this open letter to explain how you added yourself to the list of lemon-picking leaders and what you and your fellow CEOs might do differently when the next occasion arises. When you started drawing up the requirements for your replacement CHRO, you acted like a spoiled kid in a candy-store and asked for every competency under the sun (and a few from the dark side as well). The resulting spec list was so tall that the friendly neighborhood head hunter just used it to rest (this is a column you can read to your family) his backside and produced the people he had planned on short-listing anyway. Speaking of head-hunters, you were probably unaware of the nexus your search partner had with some of the CHRO profiles s/he presented to you. As a result, you didn’t realize that several HR heads who were conspicuous by their mediocrity or even made a regular dog’s dinner of their jobs, ranked high on the shortlist the executive search firm sent to you. Instead of focusing on how the candidates’ competencies met your requirements, the search partner dazzled you with the impeccable ii-vy school background (in India the most elite schools sport two 'I's though some are 'X' rated too! ), the professional awards and glowing media accolades (especially while changing jobs) that the recommended candidates possessed. Of course, there are awards and media adulation that are rightly deserved but you didn’t check their provenance for your candidates and were impressed enough by some of the 'paid' (how these payments work – without any cost to the awardee – must remain for a future column to expose) awards that are increasingly available these days, to call a couple of the most 'decorated' candidates for interviews with you. Effectively, this meant that your interviewing skill was among the last barriers that stood in the way of your making the wrong choice. There is no doubt that you are sharp and capable of sizing up people in brief interactions – you wouldn’t have been a CEO otherwise – but you did not (nor are you expected to) have the ability to judge advanced functional competencies in HR. Moreover, you shortchanged your ability to assess by occupying most of the interview time (after a little skillful prompting) with what you had achieved, what further ambitions you had for the company and what specifically a CHRO could do to contribute to them. Understandably so, since you were faced with a master of interviews, who had honed to perfection the fine art of finding out what seniors expected and then making it appear his sole reason for existence was to make just that hope into a reality. To add to it, the candidate you plumped for was a certified Four Cheek Kisser (4CK). The label comes from an anecdote about Churchill, recently repeated by James Barr: "When, at the armistice in 1918, Churchill’s private secretary declared he was so grateful for the American contribution to the victory that he wanted to kiss Uncle Sam 'on both cheeks', Churchill had retorted, 'But not on all four'. "1 It was all done more subtly than I have described it, of course, and your gulling was complete. One more check could have prevented woolen curtains from covering your vision: a thorough and independent reference and track record check. By this time, however, you were already imagining walking down the mine-is-better-than-yours aisle, hand-in-hand with your media-feted, trophy CHRO. And so you fatally compromised the reference check by leaving it to the same search firm that brought you the candidate. After that it was inevitable that you would acquire a citrus fruit rather than a CHRO. The rest of this communication will make suggestions about what you could have done differently. Some people, when faced with a large choice of dishes at a buffet, insist on lading as many of them as they can in their plates and end up with waste or severe indigestion. Savvier diners pick the dishes they expect to like and, if necessary, go for seconds of the same. No HR leader on earth has all the competencies that you can wish for at the highest level of proficiency in each. Here’s how you could have picked only the ones you absolutely needed. To start with you could have looked up a specialized HR competency directory such as the one developed by the National HRD Network. A simplified version of it is available in the chapter I contributed to 'HRD, OD and Institution Building'.2 To save time, you could have used someone familiar with the framework (NHRDN has several trained facilitators) to help you parsimoniously pick the appropriate proficiency levels of each competency for your present and likely future CHRO requirement. These would have been sufficient for your search partner to swing into focused action. By limiting the must-have competencies on your list and doing away with demands for elite colleges attended and qualifications acquired decades earlier, you would have vastly expanded the field of talent for initial shortlisting. Before you met shortlisted candidates, however, you should have carried out one more analysis just for your use. One that I find very useful, in selecting both CEOs and CHROs, is to figure out whether their inclinations, capabilities, and experiences match the predominant demands the organization has for the foreseeable future. Over the decades that I have been involved in senior-level recruitment, I have built a schema for making such a congruency match. A few years back I found that the STARS model4 developed by Michael Watkins not only closely approximated what I had evolved but had a nifty acronym going for it. As Watkins explains: "STARS is an acronym for five common business situations leaders may find themselves moving into: Start-up, Turnaround, Accelerated growth, Realignment, and Sustaining success. The STARS model outlines the characteristics and challenges of, respectively, launching a venture; getting one back on track; dealing with rapid expansion; re-energizing a once-leading business that is now facing serious problems; and inheriting an organization that is performing well and then taking it to the next level. "4 It is the rare CHRO (or CEO, for that matter) who has the proven experience to perform optimally in more than two or, at best, three of these stages of organizational evolution. Incidentally, this is also the reason an HR Head who was perfect for one phase of an organization’s existence can be a misfit at another. In any case, it is important to figure where your organization is placed in this framework and how each candidate’s competency-set measures up to it. The costs of a mismatch between the type needed and the type positioned can be severe, as you found out to your cost when you demanded rapid turnaround results from the HR head you recruited from a prestigious MNC who had, by and large, only been used to sailing serenely in a sea of sustained success. Of course, you would still have needed to hold an interview with the candidate yourself. What it shouldn’t have degenerated into (which the one you conducted unfortunately did) was a lecture from you about the history of your company, your unique contribution to its success, your screwy opinions on the secret to managing people and an induction briefing on what you wanted the CHRO to do right away. My own thumb-rule is, unless candidate talk-time is an hour plus of relevant, focused, responses, you don’t have sufficient material for evaluation. Throughout this process, it would have been important for you not to leave a trail of clues or provide verbal and non-verbal cues in real-time about where you wanted the answers to go. You might even have considered laying a dissimulative smokescreen by appearing to favor one end of where a virtue shade into excess7 whereas actually value, culture and chemistry congruence demanded the other side. For instance, you could have hinted at admiring an almost recklessly brave bent for action when you actually required a more prudently courageous profile. There is a fine line between deception and attempting to redress the information asymmetry that exists between a candidate and an interviewer. You would have needed to tread it with care. When your CHRO appointment made it to the press (which the appointee made sure it did) several senior HR colleagues on restricted-membership WhatsApp groups expressed amazement, amusement and even some admiration at the ease with which such mediocre talent had conned another corporate chieftain. After all, the individual’s track record of non-performance (and even damage) was well known both in professional circles and in the companies he had abandoned. With so much information virtually in the public domain, even if you got taken in by the interview-con you stepped into, matters need not have ended disastrously if a half-good reference checking process had been in place. Unfortunately, most senior-level reference checks are worse than useless because they lull recruiters into a false sense of confidence in the choices they have made. In your case, simply taking the checking activity away from the search firm (which, obviously, had a vested interest in providing a clean chit) would not have been sufficient to provide you with valid findings. Changes would have been necessary in what was asked and who was asked – apart from who did the asking – if the findings of the check were to pack a punch. Reference checks that simply follow a standard form are incapable of eliciting relevant information even if the person being asked were willing to give it. For this position, you needed to use the responses to the Competency Based Interview (both those relating to achievements and the value-culture-chemistry checks) to craft a custom-made check-list. Additionally, for all CHROs, estimating the AQ (Asterisk7 Quotient) is even more important than judging their IQ and EQ. Had your reference check done so, the AQ score of the candidate you ended up recruiting, specifically on the Cuckoo-of-Passage Asterisk (CoP*) dimension8, would have been an obvious red light to proceeding further. To get somewhere close to honest responses, you should have gone beyond the references provided by the candidate but not just limited your checks to previous supervisors. In fact, to be truly effective, the respondents to reference checks for critical positions, like the CHRO’s, should be planned like a 360° feedback exercise. As such, you should have approached a sampling of seniors, peers, team members, some non-HR employees and, if possible, a union leader. Admittedly, for some of these respondents, it may have been inadvisable to share the purpose of the questioning. If an alternate or vague reason was to have been used, simply using internal company resources (to substitute the search firm) for the reference checks would not have worked. Once again, the Independent HR Director on your Board could have provided a convenient foil by virtue of her or his involvement on various industry bodies and juries where invitations to join or receive awards are often preceded by checking out the candidate’s perceived image and reputation. Once again, since you had yet to action that suggestion, you would have needed to engage such an HR éminence grise externally. Without the intermediation of such a person, the likelihood of your being able to tap into the real opinions of professional peers about your candidate became negligible. At this stage, paradoxically, your best hope may be that the misfit is a genuinely transient CoP* who chooses to fly off before causing too much damage to your organization and to your personal reputation. After all, bad-mouthing his temporary nest and boss (who could do no wrong till the moment the CoP*’s departure was imminent) is a striking characteristic of this sub-species of cuckoo. If you trigger the termination clause, you stand to pay out the eye-watering sums you blithely included in the employment contract when you thought it was essential for attracting the best thing that happened to HR since sliced bread. From another choice fit only for the bin! PS: You can prevent such problems from souring the sweet tenor of your existence in future by developing a well-primed pipeline for growing and supplying CXO talent internally. Watch this space for how you can build one. James Barr, Lords of the Desert: Britain's Struggle with America to Dominate the Middle East, Simon & Schuster Ltd; 2018. Visty Banaji, Toward healthier HR, in HRD, OD, and Institution Building: Essays in Memory of Udai Pareek, Edited by T V Rao and Anil K Khandelwal, SAGE Publications, 2016, pages 183-5. Visty Banaji, Stretch them: A simple philosophy of development, People Matters, 19th Feb 2018. Visty Banaji, Is Your Board Bored By HR? Improving Board Oversight of HR, People Matters, 13th Nov 2017. Visty Banaji, (R)evolutionary Thinking- Organizational puzzles that Evolutionary Psychology can solve, People Matters, 24th Aug 2018. Aristotle, The Nicomachean Ethics of Aristotle, Trans. Robert Williams, Sagwan Press, 2015. Visty Banaji, Is your HR Head a Jerk?- A Taxonomy of HR Asterisks, People Matters, 24th May 2018.